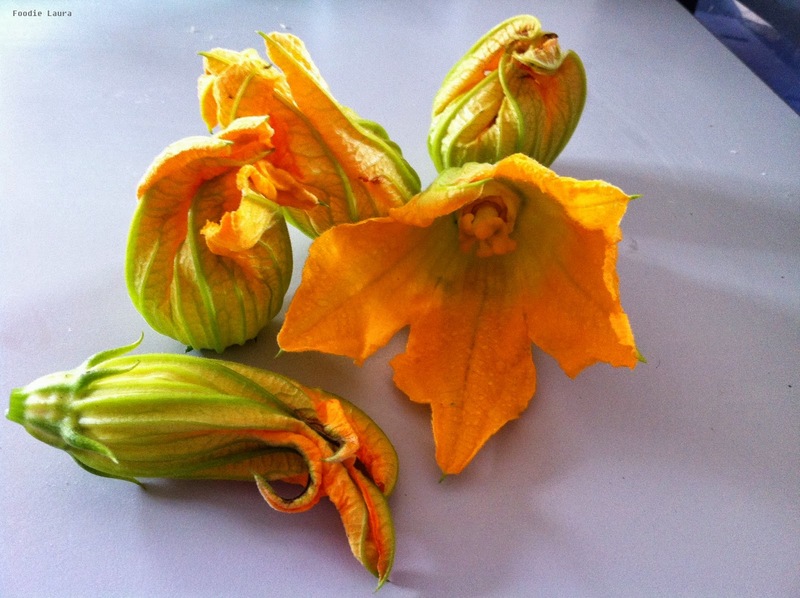 What did we cook with produce from the allotment during September? This month it's been all about courgettes. 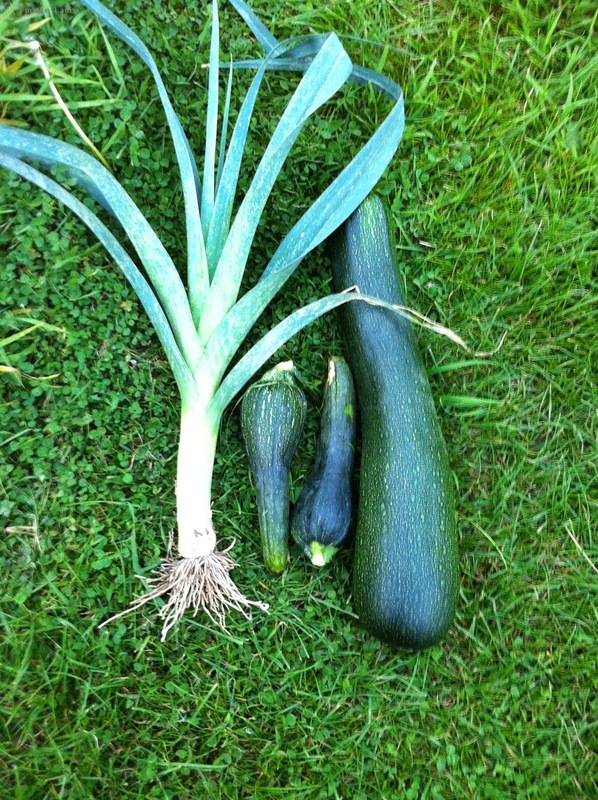 Giant courgettes which have all been produced by the solitary courgette plant we inherited with the plot. We've had tempura courgette flowers, courgette bread, more courgette fritters and a courgette hybrid of onion baji. I tried cougette linguine but I think I need a better tool for cutting it into strips as doing it by hand was tiresome and my strips were not very even. We've also had a leek. It looked like it would be giant but it was all show above ground and rather stumpy when I pulled it out. There were a few more raspberries this month but the birds got to them before I did. Fortunately we've also had a bounty from Mom's garden to keep us going and give us some variety from the all courgette centric dinners. We had chilli's which I've strung up and left to dry out. A great selection of tomatoes and box after box of russet apples that I've stored for the winter.